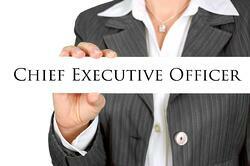 Only 6% of CEOs in Fortune 1000 companies are women. What can women with executive leadership aspirations learn from the women who have been there, done that? Here are 4 tips to help. And be sure to download our free Career Behaviors Assessment below. Having mentors and sponsors for your career are invaluable, but you must also develop long-term relationships and foster allies. Build relationships with board directors, external stakeholders, the current CEO, and peer executives. Your first aim is to better understand the company and these individuals’ roles in it—and later to have advocates and supporters of your accomplishments and vision. Women destined for the C-Suite thrive on challenge. Korn’s assessment found that the women CEOs in their study “stepped knowingly into less-than-desirable, ill-defined roles because they saw potential in these opportunities, like diamonds in the rough.” High visibility assignments might include working on a merger team or a stint as a special assistant/advisor to a senior executive. The CEOs interviewed for the Korn study suggested these are the differentiating skills women need to establish and refine on their way to a senior executive role: engages and inspires; develops talent; builds effective teams; directs work; courage; and manages ambiguity. The Korn researchers found that women are sometimes surprised that results from their work efforts don’t speak for themselves. Position and promote results by crafting a short story that describes what you did, how that achievement helped your company, and why it mattered to you. When possible, incorporate one or more positive comments that colleagues or leaders made about your work. The study found that men sell themselves more aggressively than women and champion one another constantly. When a man positions himself for a C-Suite position, he not only talks about his track record, but enlists other who will sing his praises. Women tend to have difficulty blowing their own horn and using their networks to advance their own careers. Need help creating an action plan for one or more of these key areas? Executive coaching and focused leadership development training are two valuable options to consider. Clearwater Consulting Group is a nationally recognized company dedicated to developing leaders in organizations committed to creating cultures of engagement.